Daniel Reed Hospitality, which is based in Savannah, Georgia, has signed a lease for a new, approximately 5,500 square foot restaurant at Phipps Plaza in Buckhead. Daniel Reed's Public Kitchen & Bar, with an existing location in Savannah, will occupy about half of the former Twist space as well as the current Salle Opticians space. Salle will soon relocate to the former Joe's Jeans space nearby to make room for the restaurant. 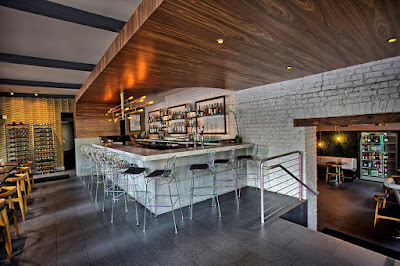 "The restaurant is a mid-century-inspired, upscale casual eatery with quality, farm-to-table offerings. The menu will evolve with the trends of the season." 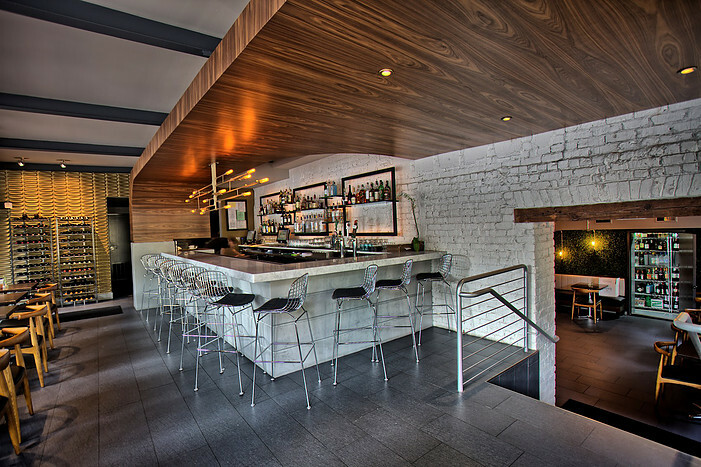 Started in 2007, Daniel Reed Hospitality today includes five concepts: Local 11ten, Soho South Cafe, Perch rooftop bar & lounge, Public Kitchen & Bar and Artillery, an old school bar, the group's newest. Each concept, while different maintains a constant theme "An iconic, restored, landmark DANIEL REED concept." The preservationist in me loves the thinking behind the restaurant group. "Our locations are a sustainable, adaptive reuse of space and a major part of the group's focus is to add to the city's urban fabric. Daniel Reed Hospitality is proactively moving the city forward while respecting and paying homage to the city's historic past." Phipps Plaza, while not as iconic or historic as downtown Savannah, does carry the kind of cache and notoriety that should serve the restaurant well. Plans call for work to begin in the coming months and for the new restaurant to be open in time for the 2017 holiday shopping season. A new grease trap will be added for both Daniel Reed as well as for the other half of the Twist space. There are also reportedly a few restaurants vying for the second half of the Twist space as well as the Prime space at Lenox Square. No word on who or when a lease may be signed. In addition to Public Kitchen, Phipps Plaza is expected to welcome Atlanta's first Earl of Sandwich to the mall next month. Ecco from Fifth Group is also expected to join the mall's property, but in a soon to be constructed freestanding building near the new AC by Marriott Hotel. Ecco is expected to debut next summer. Are you familiar with Daniel Reed Hospitality? Are you excited to have another sit down dining option at Phipps Plaza? What restaurant or type of food would you like to see open beside Public Kitchen on the front of Phipps Plaza? While I’ve enjoyed eating at some of the “sit down” restaurants at Phipps what I really miss is the old food court. It was nice to run in for a quick shopping trip or maybe a movie and get a fast bite in the food court. I realize a lot of folks like Lego Land, but to me it is not a good fit for Phipps. It seems they would fit better at Atlantic Station, somewhere around the Aquarium or one of the Suburban spaces. I agree Ham. Lego land is a wrong fit. Simon is a stupid management company. They have made both malls, Lennox and Phipps, look like the MGM Las Vegas - billboard fronts. Tacky. And now they have an ugly hotel in front. Damn! LegoLand was supposed to land at Atlantic Station originally, but AIG was in distress and couldn't fork out the required capital to capture the deal.